A violent political crisis, a series of destructive cyclones and a crippling drought are more calamities than impoverished Madagascar can possibly handle alone, but donors need to be convinced to put money on the table. 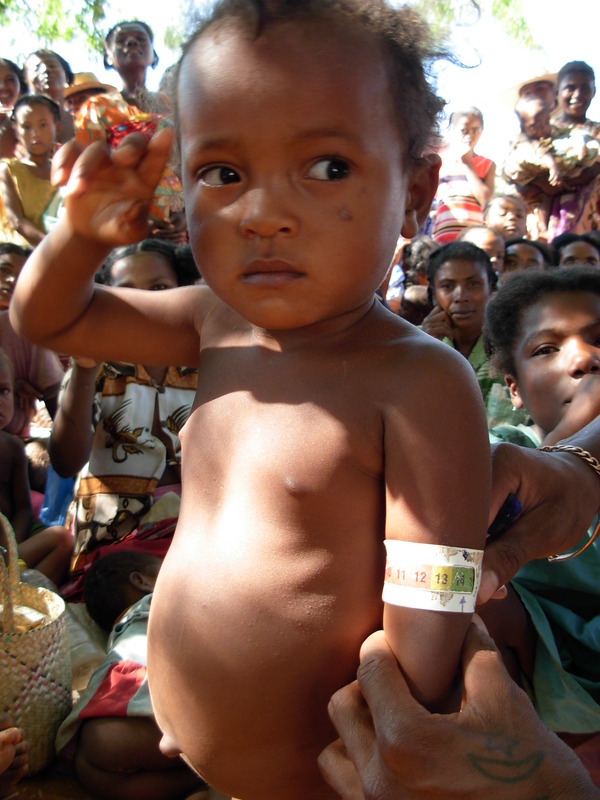 Despite international condemnation of a recent coup-style change of government, aid agencies have appealed for over US$35.7 million "to prevent the deterioration of the humanitarian situation", according to the 2009 Madagascar Flash Appeal for funds launched by the Madagascar Humanitarian Country Team on 7 April. "The devastating impact of the current crisis on children in Antananarivo [the capital] is becoming evident day by day," Bruno Maes, Madagascar representative of the UN Children's Fund (UNICEF), told IRIN. "The crisis is now on its third month; we have seen its impact on household food security - many of the most vulnerable families simply can not provide enough food, clean water or healthcare for their children in the current circumstances," he said. A protracted power struggle between Andry Rajoelina, Madagascar's new self-proclaimed leader, who is backed by the army, and ousted President Marc Ravalomanana, worsened the already difficult circumstances of large segments of the population. According to the appeal document, the political situation led to "disruptions in basic social services, a climate of fear and uncertainty, and caused delays or cessation of services to a number of aid and development projects across the country", which has "exacerbated the effects of the cyclones and drought, diverting attention, and delaying assessments and response". Cyclones "Eric" and "Fanele" hit the Indian Ocean Island earlier this year; "Jade", which struck the north of the island on 6 April, is still making its way down the east coast, while drought persists in the south. The international response to Madagascar's political dispute - which left over 170 dead and brought the economy and governance structures to a halt - was one of disengagement. The country has been suspended from regional bodies like the African Union and the Southern African Development Community, and donors like the US and Norway were quick to cease non-humanitarian aid. Rajoelina's elevation to the presidency, as head of the "High Transitional Authority", was widely branded unconstitutional – in terms of Madagascar's constitution he is too young to hold the office at the age of 34 - and re-engagement by the international community would depend on the speedy return to a democratically elected government, well before scheduled elections in 2011. Whether the move will appease the donor community remains to be seen, but after a two-day conference in the capital, Antananarivo, to discuss the country's political future - boycotted by Ravalomanana and his supporters - Rajoelina announced on 3 April that he would hold a presidential poll by October 2010. Ordinary Malagasy are finding it increasing hard to cope with the political infighting. The majority of the population live on less than $1 a day, and rising food prices and depleted incomes have undermined the ability of most households to access food, water, sanitation and other social services. The appeal document estimated that the combined crises had increased the number of people needing humanitarian aid to an estimated 2.5 million, mainly in the urban centres, with an additional 880,000 in the drought-affected south needing assistance. Krystyna Bednarska, head of the UN World Food Programme (WFP) in Madagascar, said: "WFP's food resourcing shortfall to address immediate food needs in the drought-affected south and the urban centres is around USD13 million." Food insecurity in the south is expected to deteriorate even more, while the lack of rain is expected to delay the next harvest by three months, and reduce it to by up to 40 percent. "The nutrition security is already extremely precarious [in the south]. We believe that the situation will worsen, and that up to a quarter of a million children are currently at risk of disease and malnutrition," said UNICEF's Maes. "Diarrhoea, or a small change in the quality or amount of food, could push already weakened children into a life-threatening situation of severe malnutrition." Luciano Tuseo, who is in charge of Malaria Control and Emergencies at the World Health Organisation in Madagascar, said the crises had dramatically affected access to emergency healthcare, especially in rural areas. "This situation threatens to hasten the spread of diseases in the short- or mid-term," he noted. Madagascar is heavily dependent on donor funding for its administration. The growing political isolation of the island state, and the decision of some donors to suspend non-humanitarian aid, was "likely to even further affect the government's capacity to respond to the needs of its population", the appeal document warned. Before the political crisis, official development aid (ODA) to the public sector amounted to $600 million and represented 75 percent of the government's investment budget. "As an immediate consequence of the crisis, $200 million in ODA has already been frozen, including all direct budget support to the government," the document said. The government has enough money to pay civil servants' salaries until the end of April 2009, but has indicated that it will struggle to pay for May. It is difficult to gauge to what extent donors will respond to the appeal, but the question of whether Madagascar's administrative structures will be in place to help channel any forthcoming assistance has already raised concern. "The current delays and/or the suspension of government programmes, combined with the reduced capacity of the administration due to the sudden change in leadership, and the suspension of some international assistance, has severely curtailed the current government's capacity to meet the basic needs of the population," the appeal document noted. Tuseo has already seen evidence of this. "Because of the administrative disorganization, the state budget and other financial resources, especially from donors, could not reach all levels of the health system: hospital level, district level, basic centres."